Sustanon is designed to provide a fast yet extended release of testosterone, usually requiring injections once every 3 to 4 weeks in a clinical setting. This is an improvement from standard testosterones such as cypionate or enanthate, which provide a shorter duration of activity. 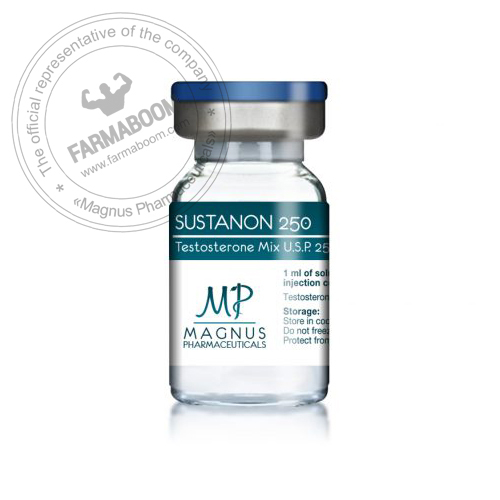 As with all testosterone products, Sustanon-250 is a very strong anabolic drug with pronounced androgenic activity. It is most commonly used in bulking cycles, providing exceptional gains in strength and muscle mass. 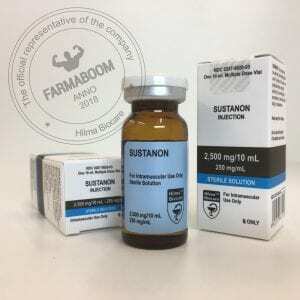 Sustanon 250 contains a mixture of four testosterone compounds, which where modified with the addition of carboxylic acid esters (propionic, propionic phenyl ester, isocaproic, and decanoic acids) at the 17-beta hydroxyl group. Esterified forms of testosterone are less polar than free testosterone, and are absorbed more slowly from the area of injection. Once in the bloodstream, the ester is removed to yield free (active) testosterone. Esterified forms of testosterone are designed to prolong the window of therapeutic effect following administration, allowing for a less frequent injection schedule compared to injections of free (unesterified) steroid. 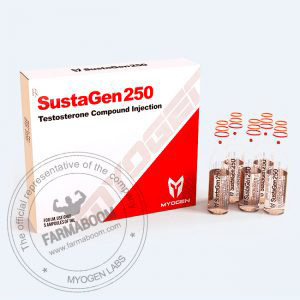 Sustanon 250 is designed to provide a rapid peak in testosterone levels (24-48 hours after injection), and maintain physiological concentrations for approximately 21 days/34 Each 250 mg ampule provides 176mg of testosterone.